Deeply embedded in the Sonoma County real estate and construction community for over 40 years, the Christopherson family knows how to make things happen. Whether it is buying your next home or selling the one you live in now, we know this market. Each Sonoma County real estate team member brings years of expertise to the various aspects of the business. Combined with unsurpassed personal attention, we’ll be offering a Real Estate experience like no other. Our six local real estate agents and brokers are dedicated to help our clients in various ways if you decide not to rebuild. We can find you a replacement home or sell your lot, or find another lot where Christopherson Builders can construct your dream home. Keith began his career in Real Estate and Construction in the 1970s as an apprentice carpenter. In 1978 he co-founded Christopherson Construction with his wife, Brenda, which evolved into Christopherson Homes several years later. During Christopherson Homes early days Keith ran a home-framing crew of roughly 80 carpenters and laborers, framing homes for other Builders and Developers, and was building small developments and building on scattered lots. By 1990 Christopherson Homes was being recognized as a leading builder in the Santa Rosa area, having completed several developments and earning a growing brand based on honesty, quality, great architecture, leading a quality team, and providing value for its shareholders and investors. Over the following years Christopherson Homes successfully built thousands of homes in more than 60 developments in Sonoma, Marin, Napa, Solano, Sacramento, Placer, El Dorado, and Glenn Counties, through two Operating Divisions, one located in Santa Rosa and the other in Roseville. Received the coveted “Best Community of the Year” from the Sacramento Building Industry for “The Avenues” which was the company’s first venture into the Sacramento market with 162 new homes and eight model homes. Received the JD Power Award in 2004 for best among Bay Area Homebuilders and ranked third in the United States in Customer Satisfaction. Christopherson Homes was rewarded the North Bay Area’s “Best Builder Award” for many successive years which is voted upon by readers of Sonoma Biz Magazine. Christopherson Homes built a home for Habitat for Humanity in 2006 in two days. Hall of Fame in 2006. Keith’s expertise is in building and managing a highly performing company, delivering great homes and value to customers, shareholders and investors. Keith is hands-on and is involved daily in land acquisitions, finance, strategy, planning, operations, sales, and warranty service. Keith has been President of the Building Industry Association twice and served on the Board for many years. 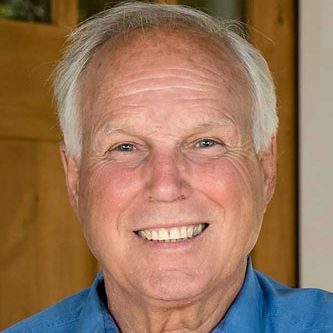 He is past President of the Sonoma County Alliance, current Board Member of Community Housing of Sonoma County, specializing in building and managing housing for homeless Veterans. Keith has also been heavily involved in other groups serving and helping Veterans and is a decorated Veteran of the Vietnam War. 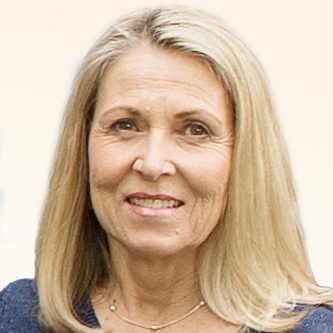 Brenda started in the real estate/construction/home building Industry in the early 1980’s and is currently the co-founder and president of the newly formed Christopherson Builders as well as president of Christopherson Properties, both located in Santa Rosa, CA. Currently, the main focus of these companies is assisting the survivors of the October 2017 wildfires. Christopherson Homes had built many of the homes which were lost and those homeowners sought out Brenda and husband Keith to assist them with their rebuild efforts. Once the Christopherson name was associated with these efforts, homeowners from many of the affected communities have reached out for assistance. Many of the award winning Christopherson Homes team also reached out to help recreate the Christopherson Brand and to assist Brenda and Keith with their efforts in rebuilding of the community. 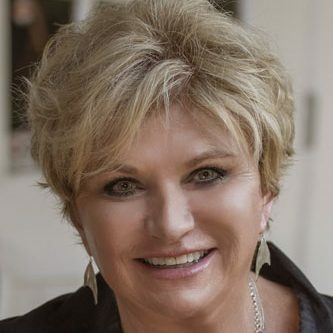 Previously, Brenda was of co-founder of Christopherson Homes, Christopherson Realty and Artisan Signature Properties. 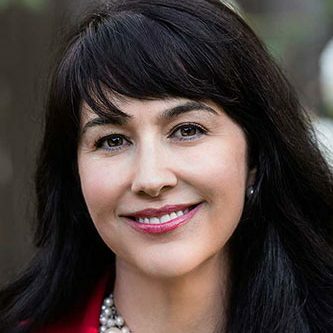 All of her companies have been industry leaders in purchasing raw land, developing, designing, marketing and selling residential real estate for more than 35 years in eight counties in Northern California amounting to more than 60 communities. Recognized as a highly respected private builder, leader, innovator and visionary, Brenda was the recipient of the first Lifetime Achievement for Marketing Excellence for Northern California Home Builders Association. Brenda and the entire Christopherson team have been the recipient of hundreds of awards including Communities of the Year, Marketing Team of the Year, Gold Nugget and JD Powers for Customer Satisfaction to name a few. She has always been an approachable mentor to women in the industry and received the inaugural North Bay Women in Business award. Brenda and her husband Keith were honored in 2006 with induction into the California Homebuilders Hall of Fame. They were the first husband and wife team to be so honored with this award, and Brenda was only the second female builder to receive this honor in more than 26 years. Amy was raised in real estate. As a child, Amy spent weekends viewing new home developments and visiting open houses, and as an adult, worked in new home communities with Christopherson Homes. Having seen multiple aspects of real estate through many economies, Amy understands a broad spectrum of the business. Amy has been a licensed broker for eight years and during this time purchased and sold dozens of homes. Currently, Amy is the broker of record for Christopherson Properties. It is my goal to provide the most rewarding experience for my clients when it comes to their Real Estate needs and desires. Whether buying a home, selling a home, relocating and/or growing their investment portfolio, your family’s home and future are my primary concerns! I pledge to all of my clients to provide you with the highest level of service possible, and doing so with honesty and integrity. As a proud Father of four sons, as well as a grandparent, family comes first. I look forward to helping your family realize their real estate dreams. In Sonoma County since 1990, this region is home. Our Team and company are dedicated to helping families rebuild and/or relocate after the recent fires that have devastated our communities. Feel free to contact me for a list of clients who are happy to pass on their experience with me as their Realtor of choice. On a personal level, I served as Sunday School Teacher at the Occidental Community Church from 2004–2007, President of Doyle Park School Association 2007–2010 and Treasurer Secretary from 2010–2011. Additionally, I have volunteered at the Redwood Gospel Mission since 2004 and since 2014 have supported Montgomery High School football as a home games announcer. Professional Affiliations and Designations include the National Association of Realtors, California Association of Realtors and North Bay Association of Realtors. Expect success with your family’s real estate needs. Laura has been a licensed real estate broker since 2008, serving clients in Sonoma, Marin and Napa counties. Laura believes that home sellers and buyers deserve the highest level of service and brings this philosophy to her practice. Licensed by the California Bureau of Real Estate since 2005, Shevaun has focused on serving the people of Sonoma, Napa, Mendocino and Lake Counties as well as those relocating to Northern California’s beautiful wine country. A Santa Rosa native, Shevaun knows this market. Through her years in the business, Shevaun has established a reputation for a high standard of integrity, representing the best interests of her buyers and sellers with honesty and due diligence. Whether you are a first time home buyer or selling your house, Shevaun provides her clients with focused attention to detail and a consultative approach to her practice. She has the experience to negotiate the purchase of a home or guide you through the sale of your property. Family is of paramount importance to Shevaun. She is the proud mother of two daughters and was inspired to enter the real estate business by her aunt, a successful broker and Realty owner. Shevaun’s California ties are strong with family residing in Sonoma, Lake and Solano Counties. She enjoys volunteering at various organizations and participating in local fundraisers that benefit the community. Marit Cole is a Broker and Real Estate Agent for Christopherson Properties and is a great fit for the Christopherson Team. Marit has decades of experience specializing in new home sales and flip home purchases and sales. 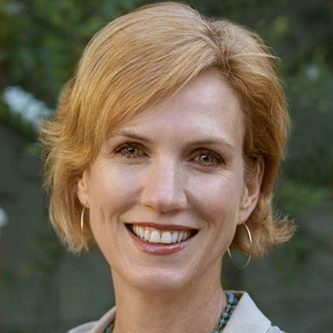 As a successful, full-time Realtor since 1986 Marit has extensive knowledge of Santa Rosa and the surrounding areas and has been through the ups and downs of the market. 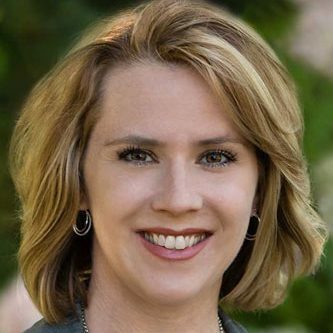 Marit grew up in Loomis, California and earned her Bachelor’s Degree in Finance from San Diego State University. Next she moved north and spent time in South Lake Tahoe where she obtained her real estate license before settling in Santa Rosa, Calif. in 1986. For more than twenty years Marit specialized in new home sales, she then went on to work for Praxis Capital where she facilitated the rehabilitation of hundreds of home flips. In 2014, Marit became a licensed broker. Marit joined the Christopherson Team in January 2018. Her dedication, work ethic, professionalism and knowledge are a great asset to our team. She enjoys working with rebuild clients and fire survivors in her hometown knowing she is playing a small part in the rebuilding of her client’s bright futures. 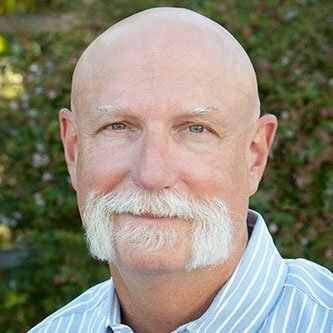 Henry (Spud) Davis, Jr. joined the Real Estate business in Sonoma County after a 30 year career in software engineering. Beginning at Synergy as a partner with his wife, Kat Breithaupt, and now with Christopherson Properties, Spud brings to the table his many talents in both business and construction to his real estate business. With a wealth of experience and knowledge, the benefits are many. Born and raised in New England, Spud moved to Santa Rosa in 1993. 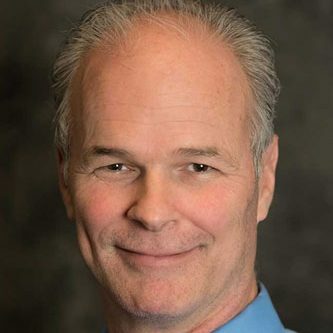 Over the years and during the “Dot Com” craze, Spud worked for several telecommunications companies in Petaluma and then retired from Calix Networks in 2014. Since then, he has branched out in real estate specializing in Luxury Homes, Farms/Ranches/Vineyards and single family homes throughout Sonoma County. You will be Spud’s priority. His dynamic and integrated approach to your success is unique. His understanding of the complicated process of a sale/purchase is unmatched. All to your benefit. Learn about the Christopherson story. When on the market, neighborhoods built by Christopherson Homes typically command a higher resale value, largely due to having a sought-after brand, thoughtful land planning, home design and model development.